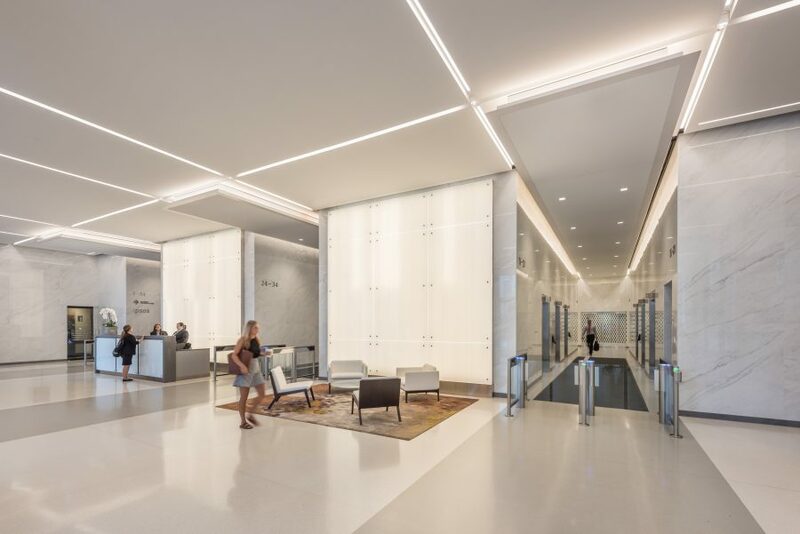 Conveniently located above Union Station, 222 South Riverside Plaza is a 40-story, 1,000,000 SF Class A office building. 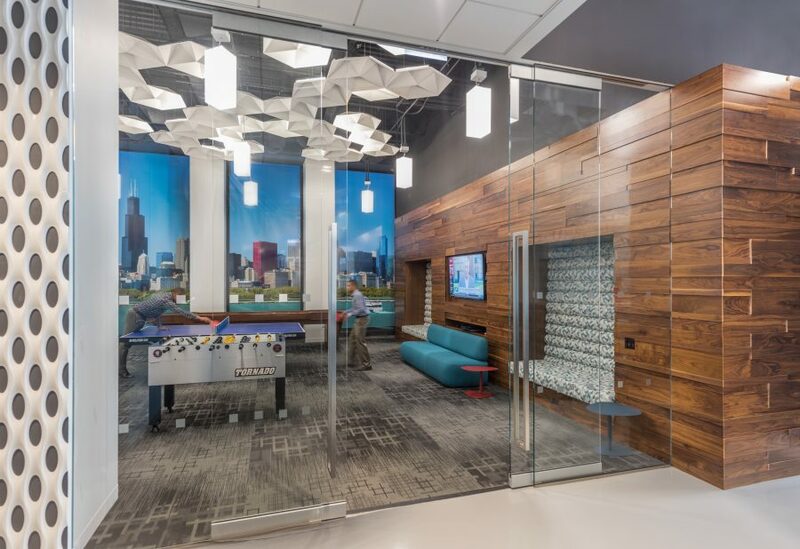 It is located in Chicago’s highly sought-after downtown area and offers unobstructed river and cityscape views of the central Loop. 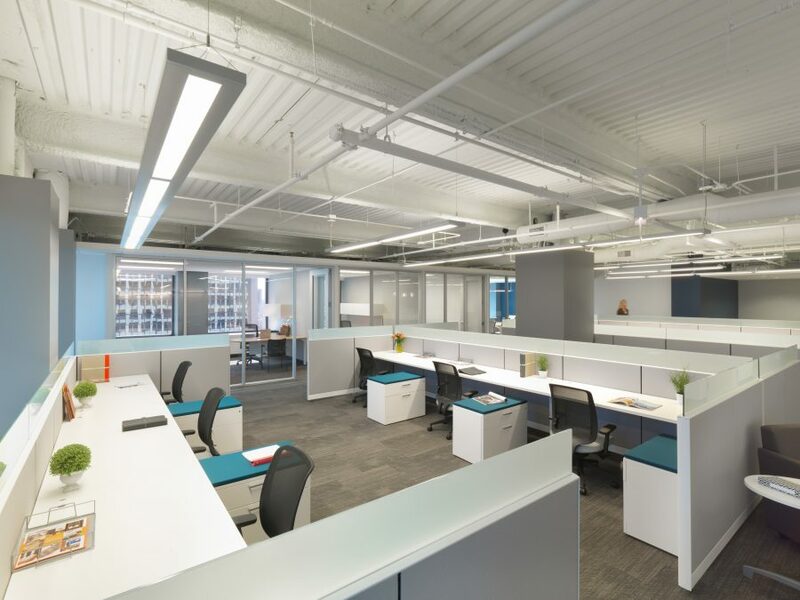 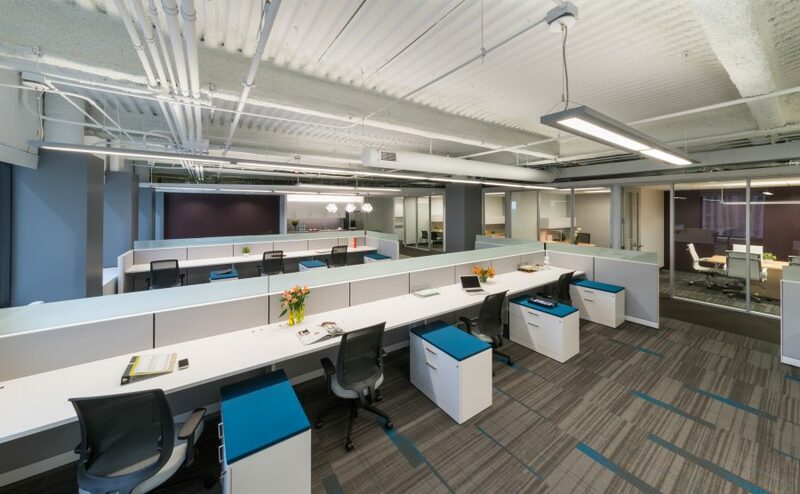 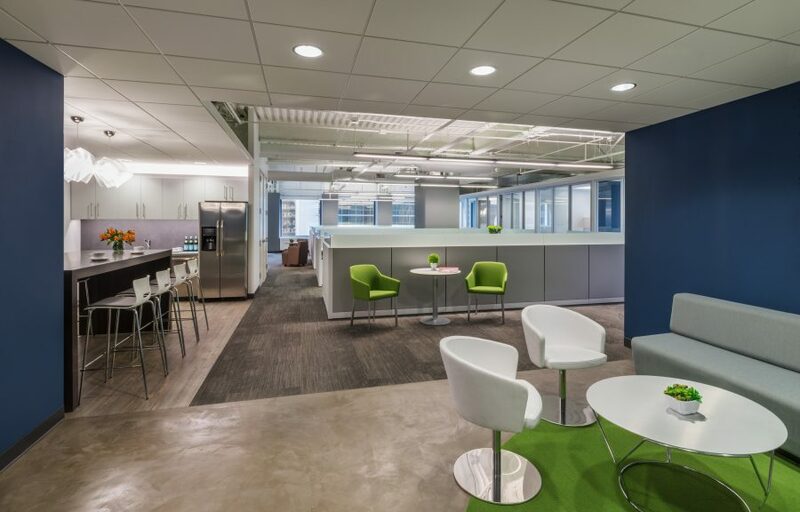 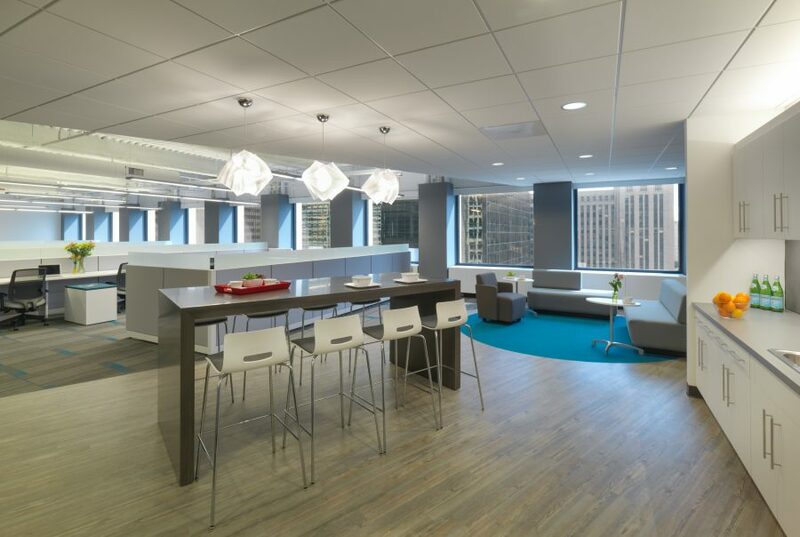 With the potential to attract new tenants, its outdated office space and common areas were in need of a refresh. 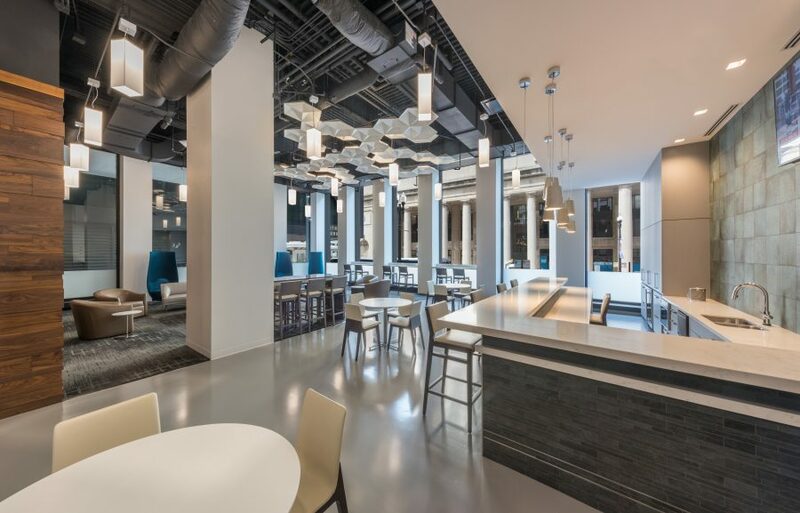 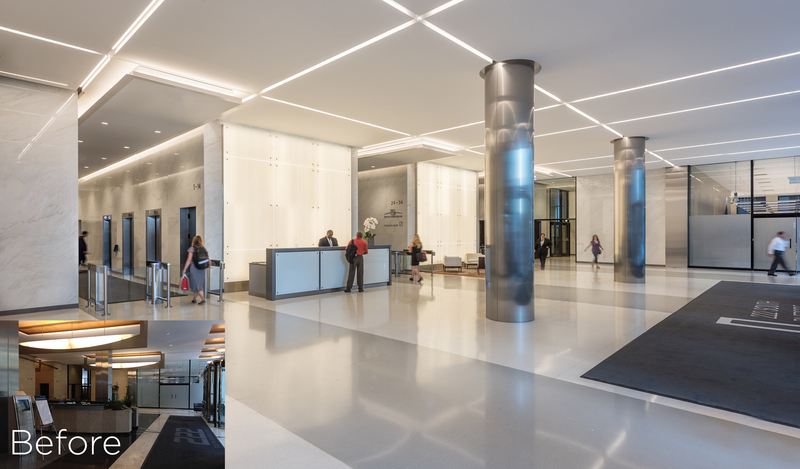 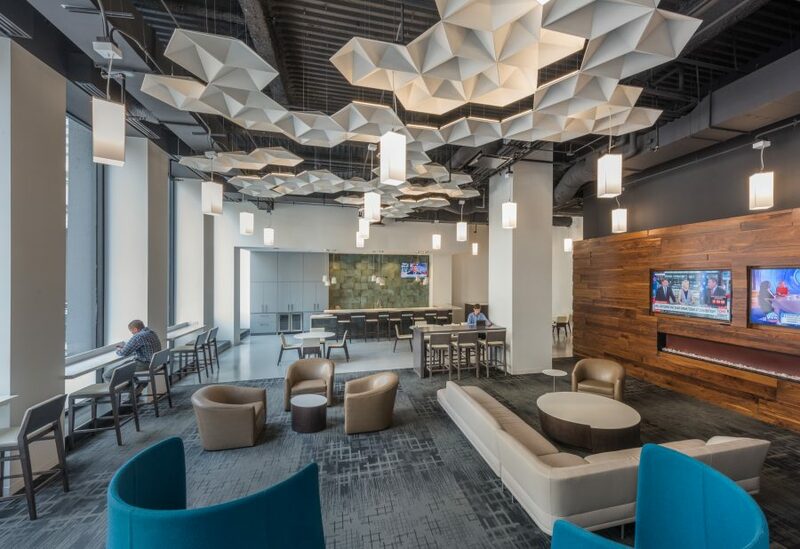 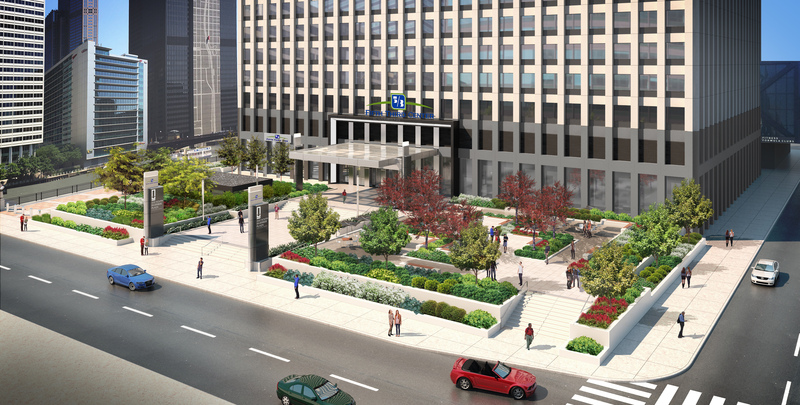 WHA designed the plans for a completely renovated plaza, canopy, entry, lobby, rehabbed common corridors, elevator modernization with upgraded cab finishes, and a state-of-the-art lounge at 222 S Riverside. 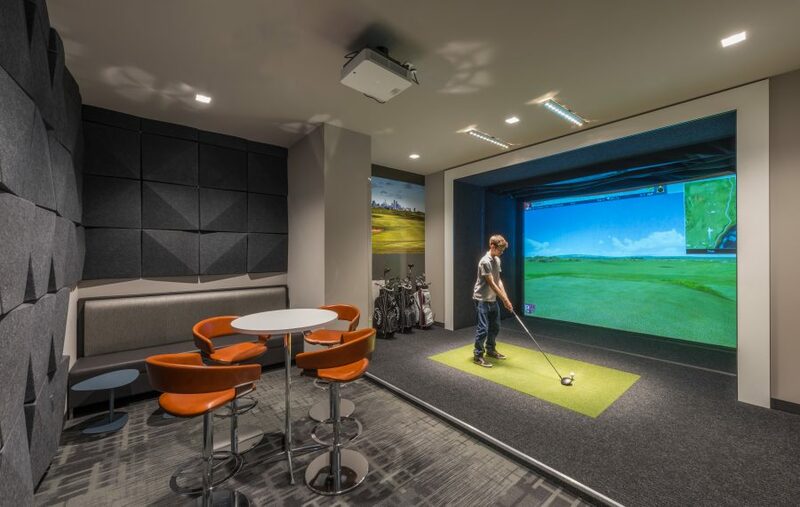 The lounge is a favorite among tenants and is fully equipped with modern amenities including casual seating, TVs, a fireplace, a game room, a golf simulator, and a bar. 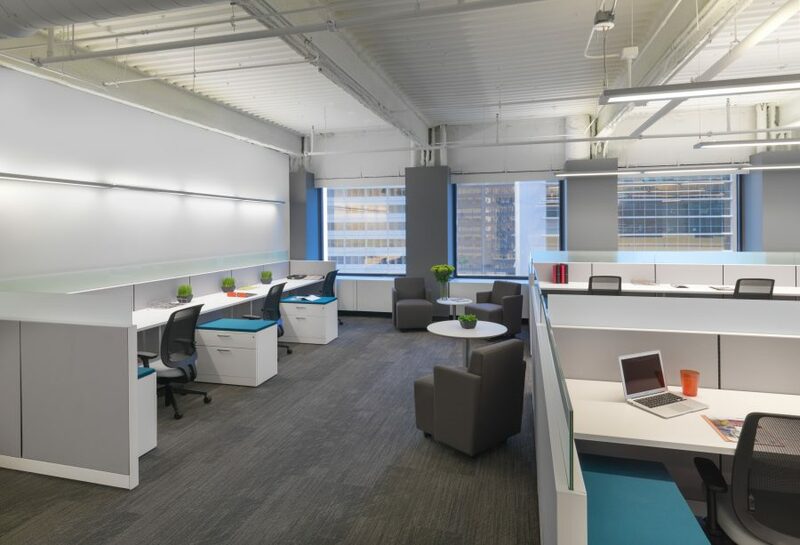 Also designed by WHA, the repositioned spec suites at 222 S Riverside now offer a flexible, open and collaborative work environment. 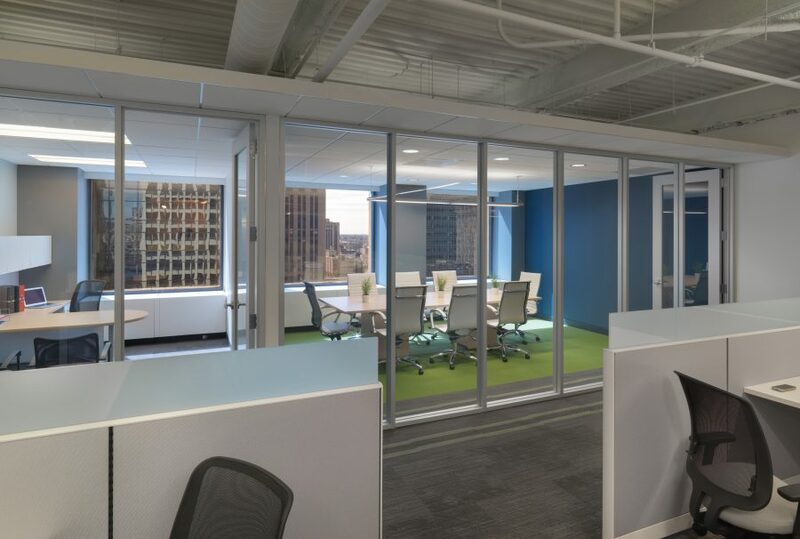 They feature private offices and conference rooms with full glass walls, and low workstation panels that maximize views and provide an abundance of natural light.